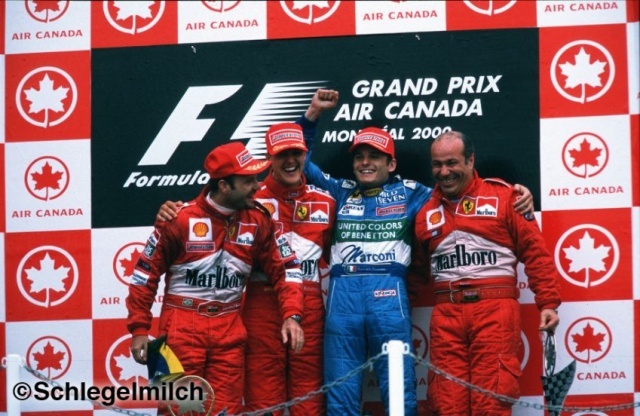 Michael won the 2000 Canadian GP convincingly. After beating Coulthard to pole position, he made full use of this advantage to lead from the start of the race. He was followed by teammate Barrichello for a Ferrari 1-2, with Fisichella taking 3rd for Benetton. This put Michael solidly ahead of McLaren drivers Coulthard and Hakkinen in the World Championship. Schuey riled Coulthard at the 2000 French GP!